Rilyn and Ella were blessed last school year to be a part of a neighborhood girls club. The girl who lead it was our pastor’s daughter, (who was in 4th grade), and it really was an awesome first time “discipling” experience for the girls. Once Rilyn started going, she told me she wanted to start a girls club one day! Well, fast forward through our busy fall (no excuse though! ), and the pastor’s daughter has moved out of our neighborhood, and Rilyn and Ella have plenty of girlfriends from school that live in the neighborhood-we are ready to start up girls club! The flyer we made to pass out said, “crafts, Bible lesson, snack, and play!” The girls meet every Friday afternoon from 4-5 p.m. I wanted to keep it in the neighborhood, so parents could feel comfortable at the ease of sending their daughters over to our house. We are trying to live missionally in wherever God has put us. This girls club is a great way to help with that! 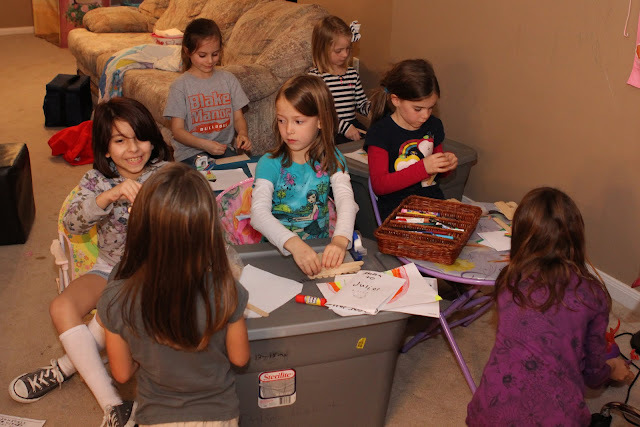 They have lots of friends with whom they can share the gospel with in a very non-threatening way-what girls doesn’t love crafts, girl talk, and snacks? Rilyn wanted to start with Genesis, and so for 10 minutes she “teaches” a lesson that James has helped her with. James has taught Genesis for a few years at church, so he is very good at asking the right questions that get to the heart of every story…Jesus. Every story whispers His Name. This week Rilyn is teaching about Noah. James typed out some questions for her to answer so she could go over them with the girls. She took the questions to bed last night, and we found them answered next to her head when we went in late to tuck her in. Her answers warm my heart. 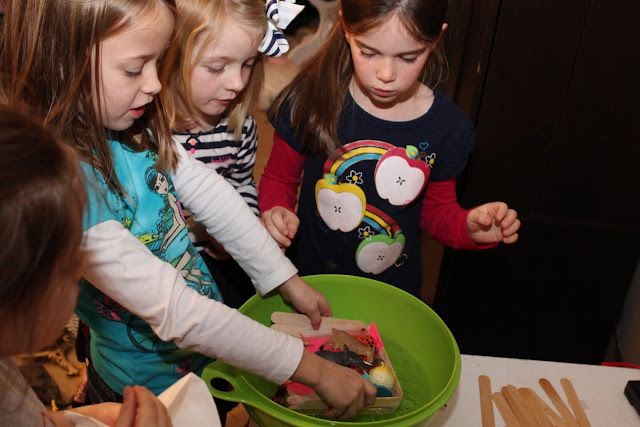 The activity that Rilyn did with the girls is she gave them a box full of popsicle sticks, tape, yarn, pipe cleaners, etc. and their job was to build an “ark”. 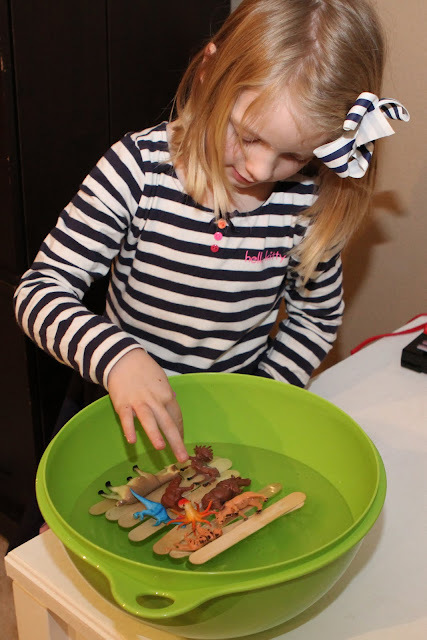 Then the girls tested their arks in water with plastic animals on them. 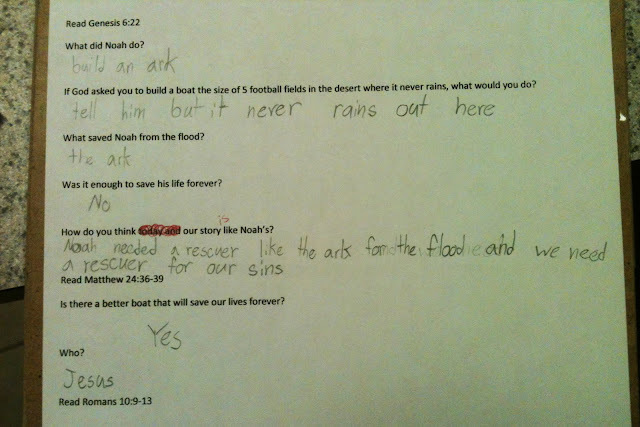 They were testing how many animals did it take to sink their ark. They discussed afterward how challenging it was to build a boat, (especially for all those animals! ), and how Noah must of felt, especially when there was “no reason” to build an ark. Noah had to step out in faith. But the rewards? We dream of Ella leading girls club one day, as she watches her big sister, (who is naturally gifted as a leader), step out in confidence to share the Gospel. We dream of these girls (who mostly go to school together) become a community of their own at school where they can pray with and support each other because they have built up this (spiritual) bond. We dream of girls coming to know Christ who otherwise would never have opened a Bible. We dream of having daughters who have a BIG heart to evangelize because they are so used to doing it each week in girls club.